exercise, those pounds and inches can come off slow, or even plateau. weight gain or loss. 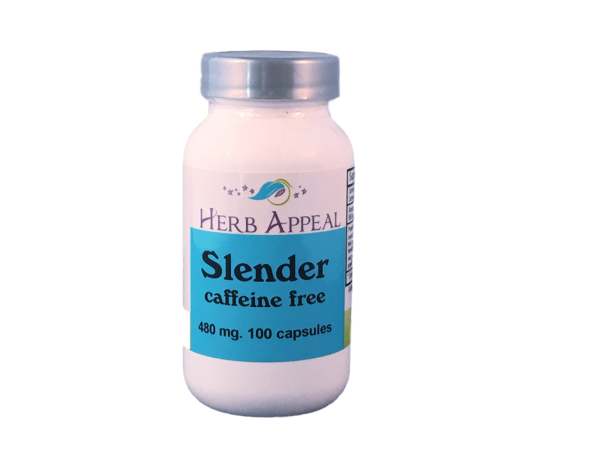 Slender Caffeine Free is our formula made especially to help the body release pounds and inches. Garcinia fruit is the first ingredient and is widely regarded as good for weight loss, but is also known to boost levels of serotonin (the happy hormone) and manage levels of cortisol (the stress hormone). Bladderwrack is next and is known to stimulate the thyroid gland, which boosts the metabolism. It is also known to help soothe arthritis. This formula does not have caffeine so it makes for a good night time dose to help you keep on track with your weight loss goals.